Play after play, and season after season, when you step back and look at the Off Broadway shows that receive critical acclaim and high audience interest (i.e. 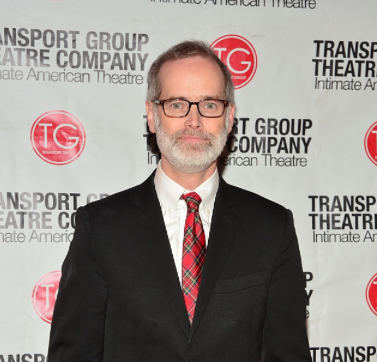 buzz, buzz, buzz), the work of one director consistently rises to the top of the list: Jack Cummings, III – the Artistic Director of Transport Group, who often directs his vaunted company’s plays every year. Right now, Mr. Cummings and his company have two revivals running in rep, two of William Inge’s plays, Picnic and Come Back, Little Sheba. And the director’s incisive intelligence comes right to the fore by the simple decision to put these two plays together. Seeing them back-to-back, especially with the casting of actors who, in key instances, mirror the growth and change of the characters they play, deepens our understanding of Inge’s sympathetic depiction of women circa the 1950s. Another gift Cummings provides in these two plays – which he has unfailingly provided in the past, as well – is the casting of brilliant character actors in leading roles. In Sheba, he cast Heather MacRae in the starring role of Lola and gave this actress a chance to show her accumulated skills from nearly half-a-century on the stage; she gives a brilliantly nuanced performance that takes you past the point of heartbreak. To our knowledge, she has never had a starring role in a New York theater production – and this part is a career-capper! A few seasons ago, Jack Cummings cast Mary Testa in Queen of the Mist – also Ms. Testa’s first starring role in New York – a portrayal that many consider the greatest musical theater performance of its season. But let’s take that step further back and look at some other Off-Broadway shows and revivals that Mr. Cummings has directed: See Rock City and Other Destinations, The Audience, First Lady Suite, I Remember Mama, Once Upon a Mattress, The Boys in the Band, Almost Maine, Hello Again, Marcy in the Galaxy, and many others of equal distinction. Not a dud in the bunch. How remarkably versatile is this director, who brings new plays, new musicals, and revivals of plays and musicals – to life with a bright, light touch. One can always count on Mr. Cummings to find original ways to stage his shows that inevitably enhance the text. His intimate staging of shows like The Boys in the Band and Hello, Again literally put the audience right next to the actors – and his breathtaking direction of The Audience put his actors in seats that mirrored the seating of the show’s patrons; it was almost like watching the famous mirror sequence in the Marx Brothers classic movie, Duck Soup. And one thing is almost always certain in a Jack Cummings, III production: you will see brilliant acting. In addition to his delicate rendering of work through conception and craft, he is ultimately an actor’s director, eliciting in all of his productions, extraordinary performances. In the current Come Back, Little Sheba, in addition to Heather MacRae, Joseph Kolinski as the male lead, Doc, gives a shattering, award-worthy performance. In Picnic, Michele Pawk gives a supporting performance so evocative of backstory you feel as if you have seen her character’s entire life during the course of the play. In past productions, Mr. Cummings has given Donna Lynne Champlin starring roles that were nothing short of revelatory.